At the rally in Jeypore, Modi said a lesson should be taught to those who insult the capabilities of the Indian armed forces and scientists. Prime Minister Narendra Modi on Friday slammed the opposition for seeking proof about India’s air strike on terror camps in Balakot in Pakistan. “It has been a month. Pakistan is still busy counting the dead bodies and our rivals here are asking for proof,” Modi told an election rally in Jeypore in Odisha. “When India acts against terrorists, enters their home and hits them, these people demand proof,” he added. Modi said a lesson should be taught to those who insult the capabilities of the Indian armed forces and scientists. “Do you trust the Indian Army?” asked Modi, and the crowd responded with “Yes”. “But our opposition has no trust,” the Prime Minister quickly added. “Two days ago, Odisha became a witness to a historic moment that showed the world India’s capability. India is now doing chowkidari even in space,” said Modi, referring to the successful test-firing of an anti-satellite A-SAT missile. 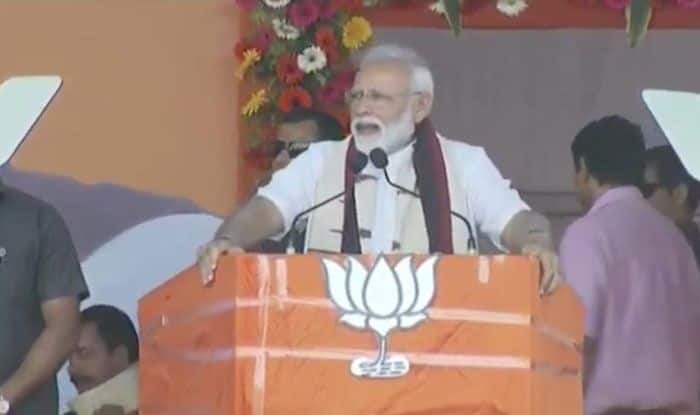 Hitting out at both the Congress and Biju Janata Dal (BJD), the Prime Minister said that while Odisha had abundant natural resources, the people were poor in the state, which was the proof of Congress and BJD’s inefficiency in governing the state. He said Odisha can become strong only when the BJP forms a government both in Odisha and at Centre. He said out of Rs 6,500 crore accumulated under District Mineral Foundation (DMF) fund, the state government had only spent Rs 1,000 crore for the tribals. He also took a dig at the Odisha government for refusing to connect with Ayushman Bharat Yojana, depriving the poor people of quality healthcare. Odisha will vote on April 11, 18, 23 and 29 in the Lok Sabha and Assembly elections.